1. How much experience do you have? As with anyone who practices a skill, generally the more experience you have, the better your finished result. You need to be certain that the person who’ll be modifying your home actually knows what they’re doing. That’s why it’s important to gauge the skill level and experience of your window installer straight away. What training do they have? Do they have any accreditations? Have they won any awards? 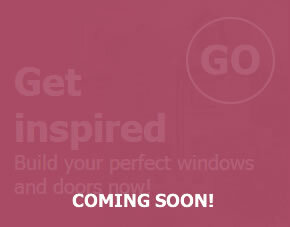 All of these things will help you to develop an idea of the skill level and experience of your installer, giving you peace of mind about the overall quality of your finished window. 2. What particular products do you use? The type of products that an installer stocks can tell you a lot about how their business operates. Modern technology means that window and door profiles are now more thermally efficient, durable and slimmer than ever before. If your installer is still using outdated, energy inefficient technology, the chances are that their service is also outdated. Essentially, a good installer will always stay up to date with the latest industry advances. Only buy a product from an installer who obviously knows and cares about the products they’re offering. 3. What particular products do you specialise in? Knowing what particular products a window installer specialises in can be a useful way to ensure the quality and suitability of their service. If an installer specialises in a particular product, this can often show an added area of expertise. Find out if your installer specialises in a particular product or service, and if you can take advantage of that for your own home. 4. Can I customise my new windows? 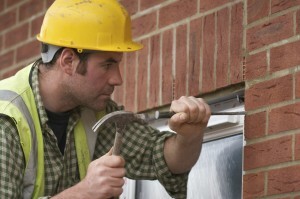 All good window installers can usually allow you to customise your windows. This could be in the form of different hardware or locking systems than the ones specified, different colours, or maybe even different shapes. 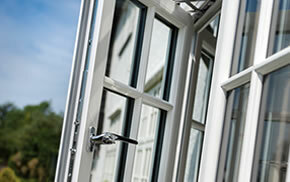 A good window installer will be just as happy to offer bespoke window options as standard options. 5. Do your products have CE markings? A CE marking proves that the product you’re receiving meets with European safety and quality standards. This symbol is used on products manufactured in, or for, the European market to certify that they comply with European directives. Many UK installers buy in cheaper, low quality products from outside the European market to sell to homeowners. The only way that you can be sure of the quality of a product if by checking to see if it has a CE mark: a recognised quality assurance symbol. Making sure that your installer only uses CE marked products is an easy way to ensure your product meets an industry-accepted, high quality. 6. Can you help me if something goes wrong after the installation? Knowing what aftercare services are available if something goes wrong after your installation is an important piece of information that many homeowners overlook. Be aware of the extent of your installer’s services. Find out what tasks are included in the price they quote you for in order to make sure you are covered in case of an emergency. 7. How protected is my deposit? Another important question to ask your installer is about the financial protection of your deposit. All installers should offer an Insurance Backed Guarantee. This guarantees that your deposit is protected if anything happens to the company before your installation begins, and ensures the quality of the installation for 10 years after completion. 8. Can I experience my windows and doors before I buy them? Experiencing a product first hand is a great way to get a feel for it and decide if it suits what you’re looking for. Find out if an installer has a showroom of existing products. A showroom is a great way to try out a product without having to commit to the real thing straight away. 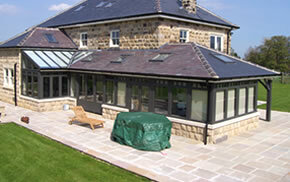 Showrooms can really help to boost your inspiration when it comes to choosing a new window, door or conservatory. At Inspire, we have a dedicated showroom specifically for this reason. 9. What do people say about you? Reputation is everything. Testimonials, word of mouth recommendations and online reviews are a great way to gauge the quality of an installer’s products and services before even having to do business with them. 10. Do you have the style, colour and material I want? Finding out if your installer stocks a particular style, colour and material of a window you want is an important question to ask. Don’t settle for something you don’t like: high quality uPVC and timber windows have a lifespan from 30-60 years upwards, so you’ll have them for a considerable time. Make sure you’re completely satisfied with the product that you’re buying and choose a company whose values you agree with. 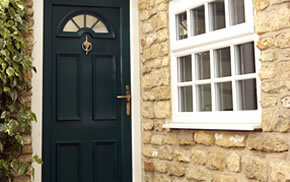 The Inspire range by Dempsey Dyer is the perfect range of products for homeowners looking to improve their properties. With an emphasis on impeccable quality windows, doors, and conservatories, we only use certified craftsmen to install our products. For more information about any of our products or services, please give us a call on 01977 649 641 or send us an email. We hope to hear from you soon.